The SB2C Helldiver probably would have to rank pretty high on any 'most maligned' aircraft list. Yet, in spite of a very rocky start, the "Beast" went on to become a significant contributor to the later stages of the U.S. Navy's carrier campaign in the Second World War. To list or write about all the problems and tribulations, bumps and ditches, bad management and just plain unfortunate happenings that plagued this aircraft's development would take far more space than we have here, but one would have to wonder how much it contributed to Curtiss' eventual sale to North American shortly after WWII. It all started in 1938 with the decision by the Navy to seek a replacement for the SBD Dauntless dive bomber. They wanted something bigger and more powerful, with folding wings and a power operated turret. This last item, the turret, would be one of the significant stumbling blocks for Curtiss. They never really were able to develop a satisfactory one and eventually the Navy agreed to drop the requirement. If all this wasn't sporty enough, the only engine capable of providing enough horses was the yet to even run Wright R-2600. The development of the engine was as troublesome as the airframe. The specifications outlined by the Navy were imposing for the time. In addition to the above requirements they wanted a range of 1,000 miles carrying a 1,000 pound bomb load in an internal bomb bay, and all of this in an airframe that would fit on the then current carrier elevators. And they wanted TWO of them on the elevator at the same time! To understand the significance of these requirements we need to understand that the then current carriers were still operating biplanes such as the SBC Helldiver and F3F Grumman fighters. Right from the get go it was obvious that this was going to be a big, heavy and imposing airplane. What was even more obvious to the various aircraft manufacturers that received the request for bid was the fact that it was going to be almost impossible to get everything the Navy wanted into an airframe that might even fly. As a result, only Brewster and Curtiss submitted bids. Both were awarded contracts, and both had significant problems to the extent that the Brewster XSB2A never reached combat. The Helldiver finally reached combat in late 1943, and went on to serve in most of the late war operations in both the Atlantic and Pacific. 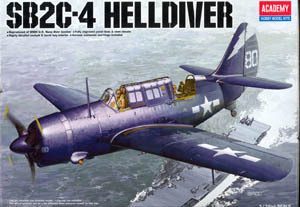 The Army Air Corps, the British and the Australians all initially showed interest in the Helldiver, but due to delays and performance problems all decided to not proceed. Despite all the development difficulties, by the end of the war the Helldiver had proved to be a rugged and dependable contributor to the carrier striking force. It went on to be a major part of the post war reserve fleet, finally leaving U.S. Navy service in 1948. Greece, Italy Portugal, Thailand and France all used the SB2C-5 version. Greece put their birds to work against the Communist expansion and insurgency threat and finally retired the last one in 1953. The French used theirs in their long and difficult war in Indo-China, and finally retired their last bird in 1952. The Italians managed to keep their Helldivers out of any wars, and operated them until 1959. Portugal obtained twenty four Helldivers and they flew them from 1950 until retirement in 1956. Thailand only operated six and they were gone by 1957. OK, so what has Academy done with this thing? 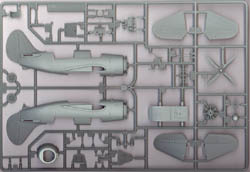 There are two sprues of the usual medium Gray plastic and the single one of clear parts. No flash, no flaws, nothing but just very nicely detailed parts. The first positive impressions that caught my eye were the rocket stubs molded right on the bottom of the wings, very nicely done scribing everywhere, structural details on the inside of doors and a lot of interior parts and details. This last one is important because all the greenhouse glass makes a good interior very important on this bird. Not much room or need for any aftermarket interior here. Academy has given you about everything that could be seen. Other points worth noting are some of the smaller stuff that shows Academy did their homework. Fabric on just the undersides of the ailerons, open slats on the outboard leading edges, and a very complete bomb bay interior. 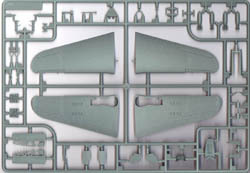 The ceiling of the bomb bay part is accurately curved to represent the top wing surface and also accurately serves as the cockpit floor. One other nice touch is the four bladed prop has a separate spinner. Getting to a post war SB2C-5 would be a major chore, but at least the prop would help. Negatives? Not many but a couple of significant ones for me. The biggest may be the open bomb bay. 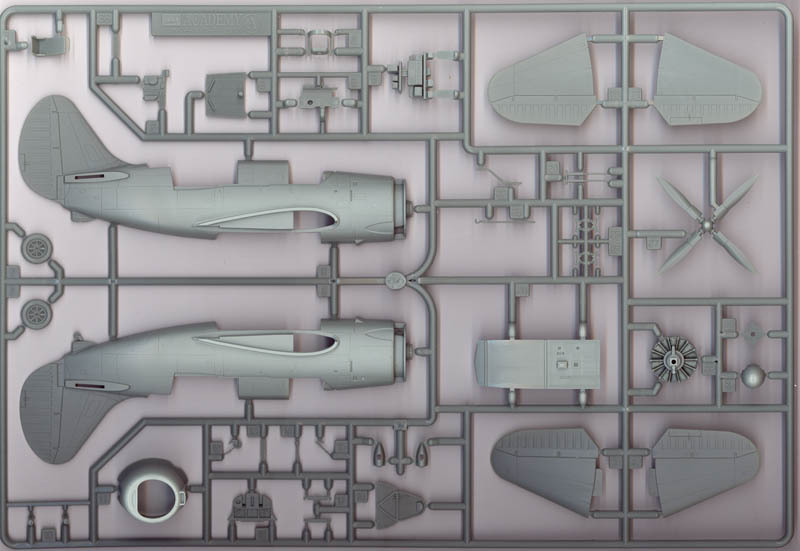 If you only want one Helldiver, then the open and well detailed one in this kit might be just what you want, but should you desire to do several models of the Beast in different markings, then the always open bay is a bit of a pain. The doors are molded integral with the bomb bay sides, so it might be a challenge to figure out how to cut them off and make them fit. The second major disappointment for me was the lack of any provision for the open dive brakes. Academy did a very good job of scribing in the very complex hole pattern for the closed dive brakes, but for me a big part of the Helldiver's appeal are the huge and very impressive flaps and upper dive brakes. To be fair, I realize that it was not likely Academy was going to go to the extra expense of providing what probably would have to have been a rather large etched metal sheet for open dive brakes, but what a difference it would have made! I hope Eduard or someone takes on the challenge. Another "I wish" thing is the rear gunner's cockpit. 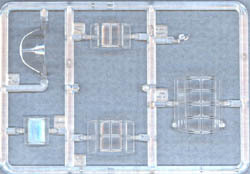 They made no provision for the interesting accordion fold turtle deck to fold down to expose the rear guns. Again, probably not a big deal, but another one of the signature items for the Helldiver. Another minor gripe is the top scoop in the front of the engine cowling is just an indent. It would have looked better as an open scoop. The assembly instructions are a welcome departure from the usual line drawings. This time they used very well done shadowed and highlighted assembly drawings that are much improved over what we are used to seeing. The relationship of parts and where things actually go just seems clearer and easier to understand. 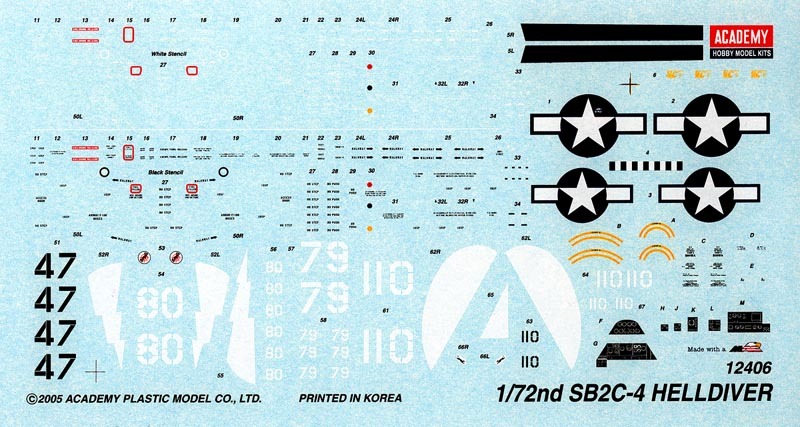 The markings choices are two all Sea Blue birds from the USS Shangri-La, a single three tone camouflage one from the Yorktown, and a very welcome Sea Search white and Gray Atlantic bird. The decal sheet is very well done, and includes a lot of stencil and maint. markings as well as welcome stuff like wing walks and even the yellow stripes for the two bombs. 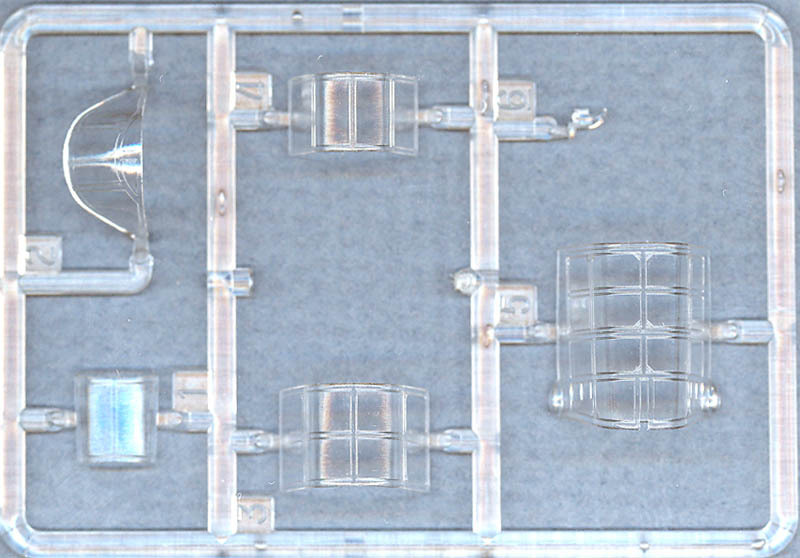 The clear parts are notably clear, thin, and in sections so you can open some parts. Masking all the frames will be fun. This is another beautiful Academy effort. The negatives I mentioned above are clearly personal choices of things I would have liked to see. They in no way should be considered flaws. 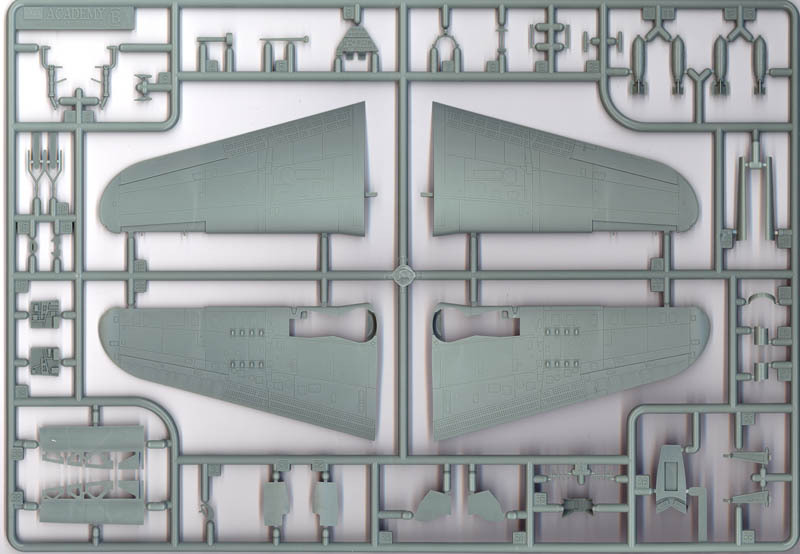 What you will get is in my opinion the definitive Helldiver kit in 1/72nd. The Helldiver is probably the last of the major U.S. Navy World War Two carrier birds to be well done in 1/72nd. Our thanks to MRC for providing the review sample.